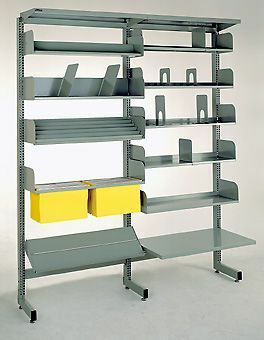 Do you need a shelving solution that’s easily extended, reconfigured and relocated as per your requirements? Fortunately, the team at Adco Office Furniture can provide Brownbuilt shelving that’s designed to provide freestanding library storage for office workplaces. These versatile units are suitable for storing various items while keeping them accessible. From sensitive documents and folders through to books and even loose items, our Brownbuilt shelving can meet your needs. Our Brownbuilt shelving also includes adjustable feet that make moving and repositioning the unit much easier. This modularity is excellent for workplaces with constantly changing requirements. When you need versatile Brownbuilt shelving and library storage solutions, you can’t go wrong choosing Adco Office Furniture. To learn more about our products, call us on (03) 9808 4404 or fill out our online enquiry form.